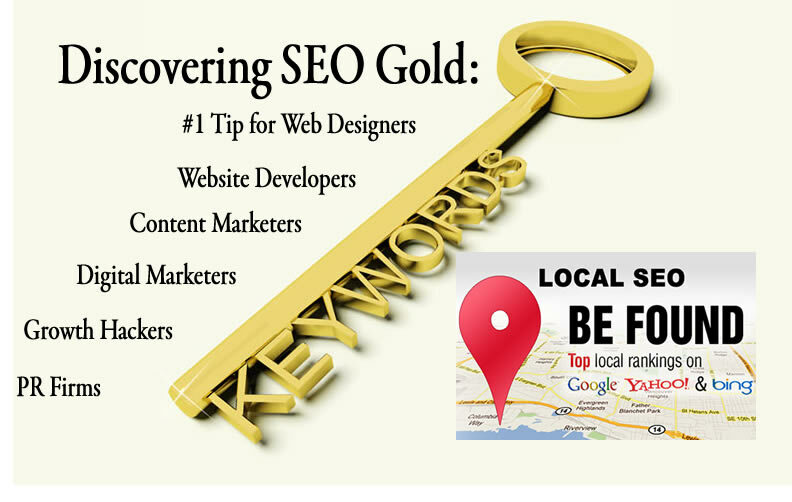 As a a web designer or developer finding the best keywords for your local brick and mortar client as well as your e-commerce/national client is like discovering GOLD. Similar to the discovery during The California Gold Rush at Sutter’s Mill, it’s important to understand the golden nuggets and discovery we can find for our clients’ top keywords so that we can rank them quickly. Now with the added element of the Google map optimization in the 3-pack and eCommerce optimization, the stakes couldn’t be higher. Click to keep reading…As a web designer and digital marketer, it falls on you to determine the most lucrative keywords to pursue for in the race for the highest rankings. Following the right local strategy from the onset will position your client’s website for success. If you represent clients, you will need to deliver solid results that can keep their business. Should you perform admirably via referrals. Therefore all stakeholders in the SEO game need to pick the right keywords. Understand, that it doesn’t matter how good your web design and development service is nor how vastly superior you are to your competition; if client’s customers can’t find them in the search rankings, then they really have no meaningful online presence. Preparing the best keywords to target for local business campaign is critical. It’s demoralizing for businesses to pour resources and money into the wrong keywords, spinning their wheels without gaining meaningful traction. Take the right steps to determine the right trophy keywords that will boost your brand. Professional keyword research will help steer you in the right direction, you can evaluate the monthly impressions and other competitive factor metrics that will allow you to make the best informed decision. Executing the right keyword strategy from the start will not only bring you great results, but also save you time and money too. Get professional keyword research guidance that will boost your bottom-line. Visit: Free Keyword Research Reports and Website Analysis to find out how you can get the best keywords to target for your local business campaigns. Want to Hear a Good Lawyer Joke?